Have you checked out Kodak’s new photo books? If not you should check them out. You totally create your own photo book. You can use the new Quickstart Photo Book features that put you in control. You can re-size, move, rotate and overlay images and text. The one feature I really liked to used was that you are able to upload photos from not only your computer but from Facebook. Once you uploaded your photos it puts them in order according date. 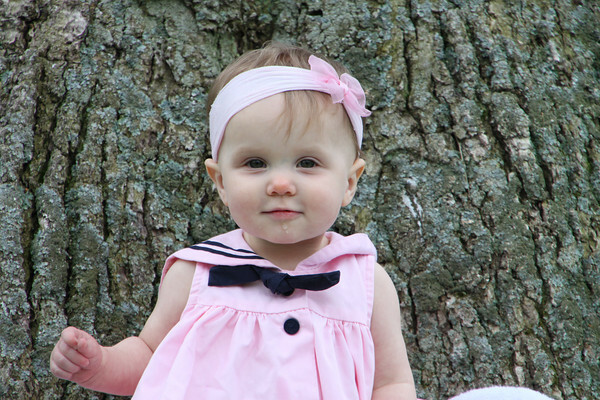 Which was amazing, because for this photo book I decided make a Happy 1st Birthday Book for Kiley. So it already had the pictures in order from birth to now. So easy. As one of reader of my blog, Kodak is offering all of my readers an exclusive 40% off code off of a medium hardcover or large photo book. Follow this link to receive this awesome discount. Maybe now is to create that perfect photo book you’ve been waiting do. Maybe you want to create a photo book of all the amazing photos of the yummy dishes you’ve created on your own food blog. Foodbuzz Tastemaker program with KODAK Gallery provided me this opportunity to create a free photo book. This week’s giveaway is another book about grilling! But this time it’s all about PORK!! So what do you have to do to enter this give away? It’s simple…tell me your favorite pork recipe! If you have a link to the recipe to share as well, that would be awesome! Give Away Ends on Friday July 17 at 9:00 am! Give Away Ends on Tuesday, June 30 at 9:00 am! I love to make kabobs. So fun and festive! It’s almost summer time and that means that everyone will be using their grills a lot more! So what better of a giveaway to giveaway then a Lobel’s Guide to Grilling! To enter this giveaway it’s simple, just leave a comment telling me your favorite food item or recipe to grill! This giveaway ends next Thursday at 9 am! Good luck! Erica! Congrats to Erica, this is the 2nd time she’s won one of my give aways! Better Homes and Gardens, All Time Favorites Cookbook, Vol. 3! It has lots of recipes in it! It has appetizers including burger-potato bites, spicy shrimp nachos and more, main dishes like Triple-Mango Chicken, Shrimp Po’ Boys and more, side dishes like apple-pecan salad, and more, breads like Italian style rosettes and more and desserts like raspberry velvet melange, butterscotch sauced brownies, apricot sage cookies and more! All you have to do to enter this give away is tell me what your favorite meal or dessert is to make! I’ll announce the winner next Tuesday!